Shop for pain relievers to treat your dog's arthritis at VetDepot.com. 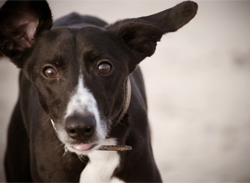 Arthritis typically affects middle-aged to elderly dogs. It is a degenerative joint condition, meaning that it progressively worsens, especially when left unchecked. Although dietary supplements, pet medications, and even surgery may be necessary in moderate to severe cases, lifestyle changes are key to slowing the disease's progression, easing symptoms, and making your pet more comfortable. "Consult your veterinarian before starting your pet on an exercise regimen, as too much exertion can be counterproductive and painful for arthritic dogs." If you suspect your dog may be developing arthritis, watch for indications that your dog is favoring a particular limb or side, having difficulty lying down or standing up, or experiencing lameness or stiff movements. These signs are typically more obvious in the morning or following a nap. Note if your pet seems hesitant to run, jump, play, or climb stairs. Obvious pain when touched on or near a joint, consistent avoidance of certain normal positions, decreased activity, weight gain, irritability, and behavioral changes are other symptoms of arthritis in dogs. Depending on your dog's specific condition, light to moderate exercise is essential. It promotes continuing flexibility, increased muscle mass, and a healthy weight. Consult your veterinarian before starting your pet on an exercise regimen, as too much exertion can be counterproductive and painful for arthritic dogs. Low-impact exercises that do not tax the joints are best. Swimming and walking are excellent options in many cases, but running and jumping are to be avoided. Exercise, playtime, and other stretches of physical activity should be kept fairly short. Along with exercise, a healthy diet is also important and should usually include a reduction in calories. An arthritic dog is less active and therefore at greater risk of becoming overweight. Excess body weight also puts undue stress on the joints and increases the likelihood of your pet developing diabetes, heart disease, and other serious health concerns. In fact, the ASPCA notes that dogs with a degenerative joint disease often benefit from being slightly underweight. Talk to your veterinarian about an appropriate diet for your pet. 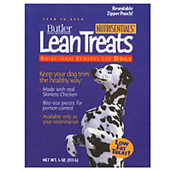 If you love giving your dog treats, make sure you use a low-calorie option like Lean Treats to help keep off excess weight and reduce joint stress. Massage is commonly used to soothe an arthritic dog's aches and pains, especially when compensation for lameness strains muscles. Physical therapy is another option. Ask your veterinarian to show you proper massage techniques that can help or to recommend a physical therapist for your dog. Acupuncture is another beneficial remedy, though support for this method is primarily anecdotal and not based on scientific studies.